With enriched industrial acquaintance, we are presenting a varied series of Concrete Brick Making Machine. We have a leading organization in offering a supreme quality assortment of Manual Brick Making Machine to our customers. The offered products are tested before final delivery. Having a positive quality management system, we are involved in presenting a comprehensive compilation of Fly Ash Brick Making Machine. 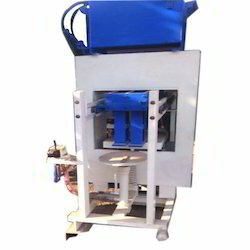 We specialize in manufacturing an exquisite range of Semi Automatic Fly Ash Brick Making Machines. 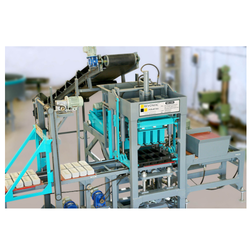 These machines are demanded for normally and specially designed fly ash brick manufacturers. The products that we offer to our clients are provided to our clients within the promised time frame and at reasonable prices. Suitable for making fly ash brick's of different sizes with good strength. The plant consists of (1) pan mixer (2) conveyor (3) brick - machine (4) control penal. Material feading in pan mixer is monualy. With the involvement of modish technology, latest machinery and advanced tools in all our processes, we are occupied in offering Semi Automatic Fly Ash Brick Machine.